One of the most common issues that Americans have when buying shoes is finding the right shoes for flat feet. 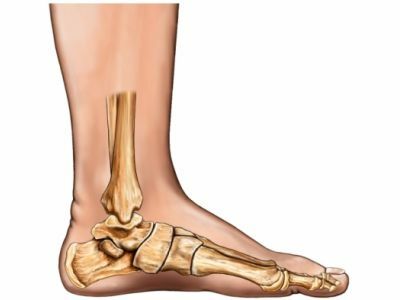 Also known as fallen arches, it is estimated that more than 20% of the population suffers from flat feet. Causing pain, inflammation and – in extreme cases – plantar fasciitis, the condition can make shoe buying difficult because poorly-fit shoes can further irritate the wearer’s feet and exacerbate the problem, leading to persistent pain and extreme discomfort while walking. Thankfully, the certified pedorthists at Corey’s Bootery are well-trained in helping our customers find the best – and most comfortable – shoes, no matter the status of their arches. In this post, we’re going to share some of our advice and, hopefully, help you find the right shoes for flat fleet. To better support your foot, look for athletic shoes that offer stiff soles and dense materials. This combination will better support your foot and, in many cases, are specifically designed for people with flat feet. Designed for individuals with flat feet, semi-curved lasts result in a shoe that doesn’t curve drastically at the insole. Shoes employing a semi-curved last can provide you with increased support and, more importantly, additional comfort. If you have a favorite pair of shoes that you just can’t bear to part with, consider purchasing arch support inserts for them. The arch supports will bolster the support that your shoes offer, providing additional comfort and reducing strain on your feet. At Corey’s Bootery, our goal is to increase our customers’ quality of life by helping them select proper footwear and orthotics. Since 1973, we’ve helped people in the Kalamazoo area find the shoes that they need to live, move and function in a comfortable, pain-free way. If you suffer from flat feet and experience daily pain due to poorly-fit shoes, be sure to stop in and let our team show you the difference that a good pair of shoes can make.